We have a bountiful crop of articles for our Fall issue. 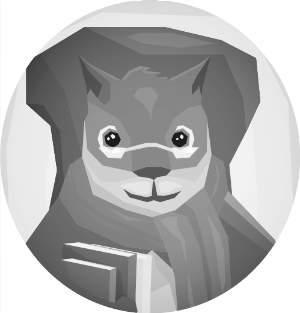 Our squirrel researchers have been busy digging up new information and found a story they think you will like about Americans who had a Can-Do spirit just like squirrels had, and that Can-Do spirit helped win a world war. Did you notice our new logo? 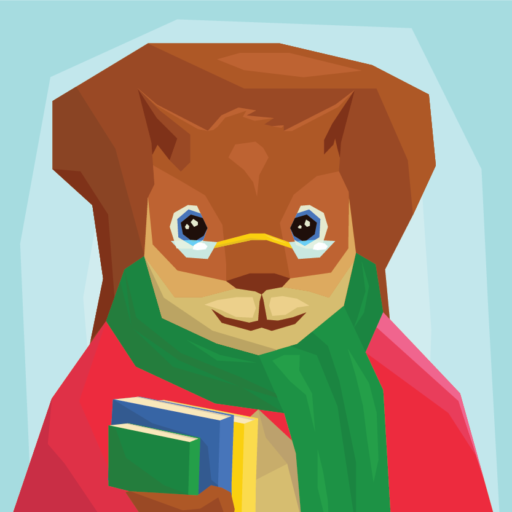 Larry the Squirrel thinks he looks fabulous as a cartoon. Our illustrator, Danny Vincenz, drew it, of course, in between starting his third year of college. Go, Danny! Five years in the making, Kathleen Vincenz’ next novel, God’s Sparrows, is in the editing stage. If all goes well, it’ll be out by the end of the year. Look for more information in the next issue. 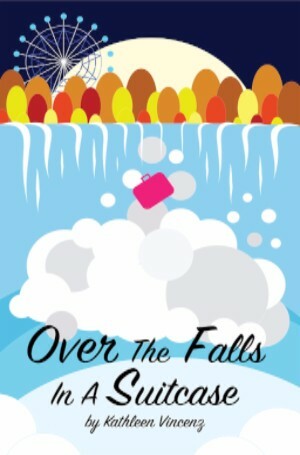 Make room in your backpack or Kindle for a copy of Over the Falls in a Suitcase to read between classes or while riding the bus. Read it free with Kindle Unlimited. Like Old Silly, Slapstick Movies? Do you think a pie in the face is funny? Or tripping on a banana peel? Tuesday and Wednesday in September, Turner Classic Movies is playing famous comic movies from the silent era to current day, such as Charlie Chaplin or Laurel and Hardy. 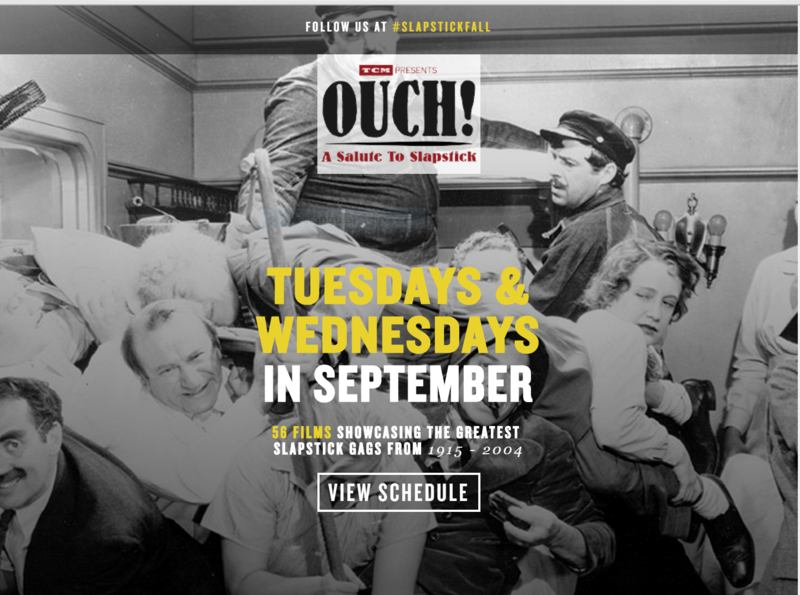 Its called Ouch: A Salute to Slapstick. Doesn’t sound like something you’d want, does it? But when American troops landed on the islands in the South Pacific during World War II, they were glad to know that the Seabees had been busy building submarine bases, carving out runways from the jungles, and unloading guns and cargo from ships. America needed naval bases on the islands in the Pacific to fight the Japanese back to Tokyo. To build naval bases and fast, they enlisted the Seabees, whose motto was: Can Do! 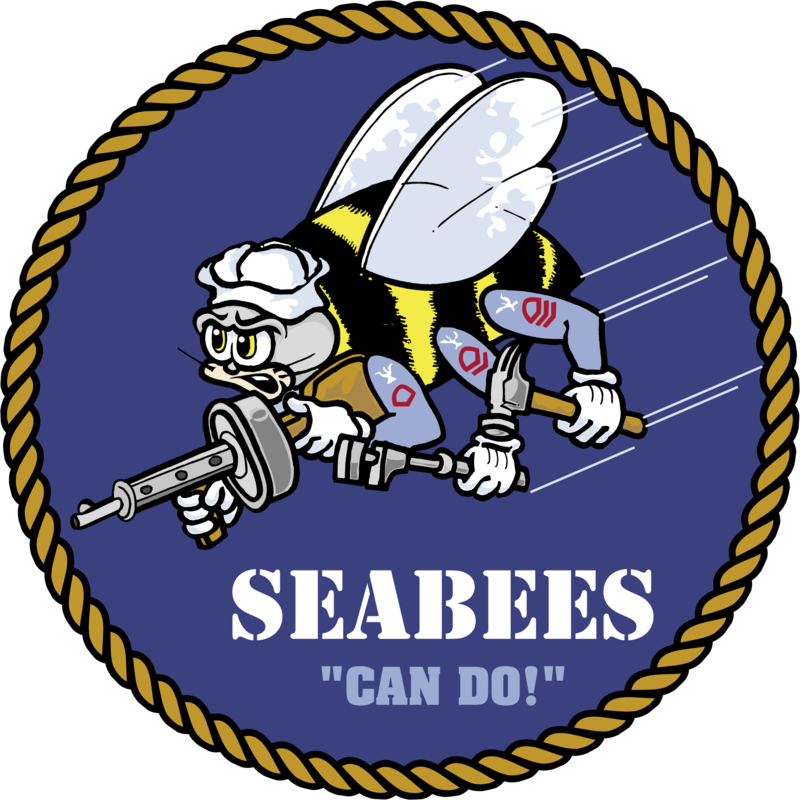 The Seabees weren’t bees. They were American engineers, plumbers, carpenters, electricians, and construction workers. The same men who had built the dams, the highways, the subways, and the towering skyscrapers in America during the 1920’s and 1930’s, used those skills to end the war. Work, fast work, hard work! They erected hospitals in five days, using pre-fabricated buildings called Quonset huts, and repaired a bombed airstrip in four days. To build a runway, Seabees bulldozed swaths of an island, tearing down trees and moving enormous amounts of earth. They covered the runway in a base of crushed coral and covered that with steel mats with holes punched in them, known as Marsdon mats. As fast as the Seabees could build or repair a runway, however, the Japanese bombs devastated them. To keep the Americans flying, the Seabees dug shelters (foxholes) for their protection near the runways. When the bombing started, they huddled in the foxholes. When it stopped, they jumped out and repaired the runway. Often Marine fighters circled overhead waiting to land. 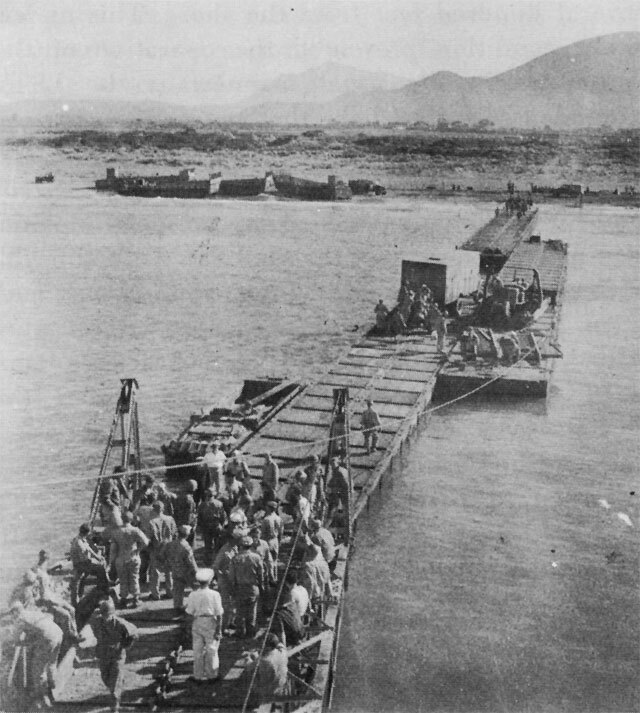 On the islands in the Pacific, there were no cargo docks and the beaches were often shallow. Freighters could not get close to the island. 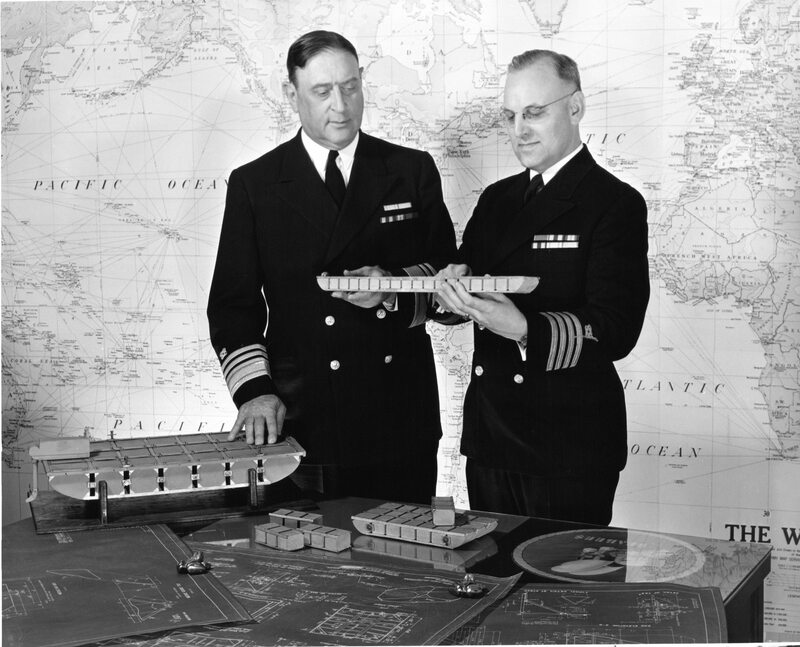 In the fall of 1942, 83 freighters waited in Pacific to be unloaded. 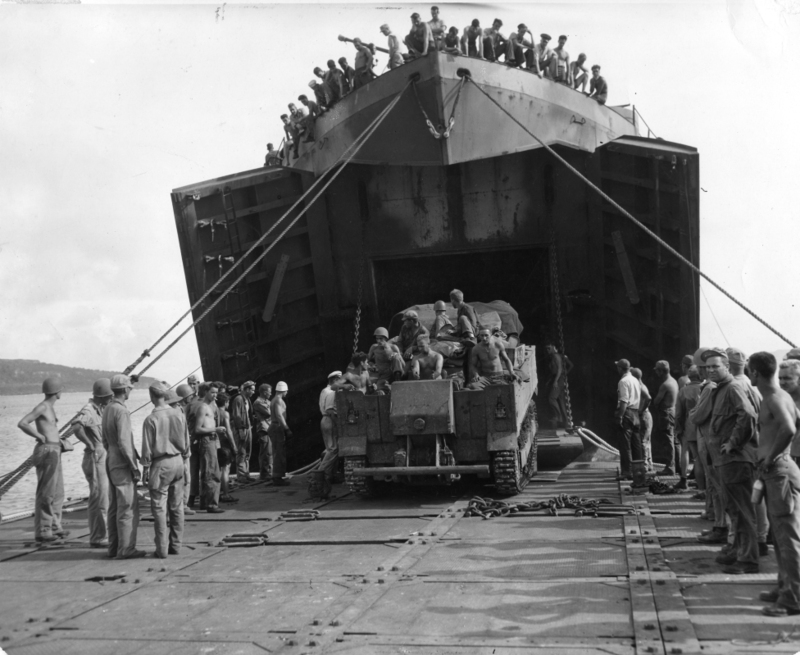 The Seabees used pontoons, or movable ramps, configured like Legos, to build floating docks and piers. They even attached outboard motors to them and drove them to shore loaded with great guns and bulldozers. This is a picture of ramps used in Italy. It ain’t food, mac; it’s chow! Seabees were known for their food, which they called chow. When Seabees landed in the Aleutian Islands, they served a hot meal on the beach that afternoon. The next day, the meal was pot roast and potatoes. But they didn’t just feed themselves. They feed six Army units, the Navy Amphibious Force, and the Canadians. 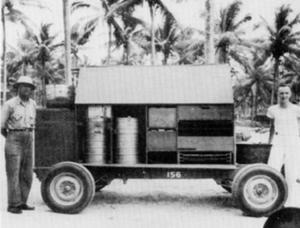 Here’s a rolling kitchen, called a chuck wagon, the Seabees made out of cargo trailer. It traveled to where the Seabees were working so they saved valuable time and stuck to their jobs. 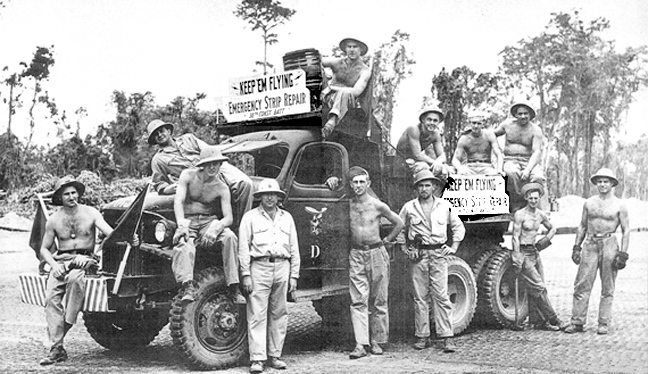 The Seabees have served in every war since World War II and continue to serve today. Their jobs and technology may have changed, but they still Can Do! In fact, the joke goes that when a soldier reaches the gates of Heaven, Seabees will already be there. They’ll have built the gates and paved the roads. The “Can-Do” men in green. With our past we’ll keep tradition. Bees of the Seven Seas.